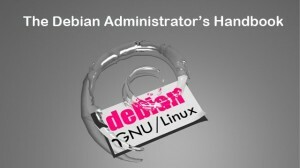 This is my monthly summary of my Debian related activities. If you’re among the people who made a donation to support my work (144.3 €, thanks everybody! ), then you can learn how I spent your money. Otherwise it’s just an interesting status update on my various projects. While taking care of the last details for the hardening feature in dpkg 1.16.1, I have mailed debian-devel to find volunteers to handle a hardening release goal. The objective is to ensure a large number of packages have been converted/rebuilt to actually use the new hardening build flags. Then I prepared the draft of the announce of the dpkg 1.16.1 upload (aka Bits of dpkg maintainers sent to debian-devel-announce) which got expanded by Guillem to also cover new features since dpkg 1.15.7.
update-alternatives got some refactoring by Guillem which resulted in a regression that has been fortunately discovered by Sven Joachim. I fixed that regression and did some further cleanup inspired by the root cause of this regression (see top 4 commits here). Note that Sven is one of the few persons who are running the git version of dpkg. Hopefully the number of tester will increase since I recently documented the APT repositories with autobuilt versions of dpkg in the wiki. At the end of the month, I started working on a bugfix release (what’s going to be 1.16.1.1) by fixing some of the unavoidable problems discovered after an upload that accumulated more than 4 months worth of work (see top 4 commits here). 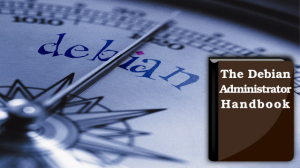 I spent countless hours finalizing the launch of the crowdfunding campaign for the Debian Administrator’s Handbook and it went live on September 27th. So far it’s on good track with more than 63% of the base funding already secured. But we still have a long way to go to reach the liberation goal (we’re at 21%). It’s still worth nothing that more than 55% of the money raised has been put in the liberation fund so there are many persons who care about getting the book freed. More than 250 persons are supporting the project currently with an average contribution of 38 EUR. I would have expected much less for the average contribution but many more supporters. 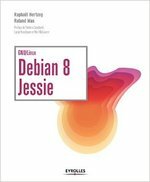 I still hope we can get more people on board with the perspective of a good DFSG-free Debian ebook. Did you order your copy? If not, click here and fix this! 😉 By the way Paypal used to be required but it’s no longer the case, you can support the project just with your usual credit card. 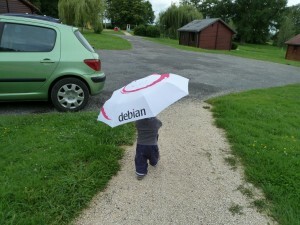 Two new articles joined those pages this month: How to triage bugs in the Debian Bug Tracking System and Understand dpkg and don’t get stuck with a maintainer script failure. I did a small update to the developer’s reference. Luca Falavigna submitted a patch to clarify how one is supposed to deal with meta-packages (cf #569219), I improved it and integrated the result in the SVN repository. I upgraded nautilus-dropbox to version 0.6.9 and while doing this I discovered a bug in mergechanges (filed as #640782). I uploaded a new release of quilt mainly to add the Multi-Arch: foreign field so that it can satisfy dependencies of foreign packages (i.e. packages of a different architecture). Django released some security advisories (tracked in #641405) and since the maintainer did not deal with the issue, I stepped up to the task (I’m a backup maintainer) and released the fixed version 1.3.1 to unstable. I took the opportunity to switch from python-support to dh_python2, and do some misc improvements to the packaging (see changelog). I wanted to update publican to a newer version but it turned out to be not possible because Debian doesn’t have the latest version of docbook-xsl yet. I also discovered some bugs in the test suite and forwarded upstream the patch I created (see upstream bug). On top of this, fop was failing due to some java problem related to the introduction of multiarch. 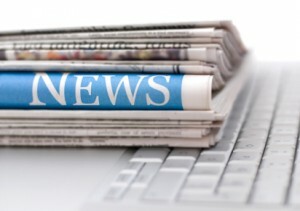 After having reported the bug, the java maintainers quickly released a fixed version. So now publican is ready in the git repository but it’s waiting on the docbook-xsl update. I got in touch with the maintainer who said he would have the time to take care of it by mid-october.